Earlier this month, the island-based gaming software juggernaut, Microgaming, announced it would be the main sponsor of the 2017 Isle of Man Sports Awards. 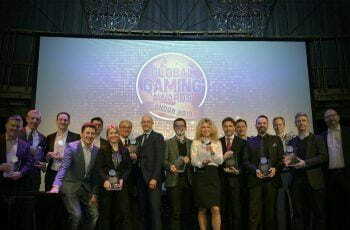 Through its specific charitable body, Microgaming PlayItForward, the online gaming-software provider will be responsible for presenting the two most prestigious awards on the night. 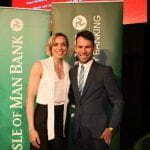 The Isle of Man – Sportsman and Sportswoman of the year awards. Last year’s winners, Mark Cavendish, the silver medal winner in the Olympic cycling omnium and, the 100m and 200m British butterfly champion, Charlotte Atkinson will be along for the night as well. The event, organised by Isle of Man Sport and funded by other local partners, will be held on the 1st of March 2018, in the Villa Marina Royal Hall. The Isle of Man has long heralded traditional of outstanding athletes. Nominations for the 2017 awards have already begun and will close on January the 8th 2018. Speaking to local press officials, Microgaming Senior Brand Manager, Kate Moughtin, spoke of her excitement to be supporting the inspirational local awards. The charitable arm of Microgaming, PlayItForward, was established in 2014 and is headquartered on the Isle of Man where the software company is based. The charitable initiative acts as a social enterprise for the company, donating and raising lots of money, focusing on key areas such as the environment, education, health and sport. As the stigma around online gambling and casinos continues to fester, charitable, eco-friendly acts by the online casino community will go a long way to curtail this reputation.